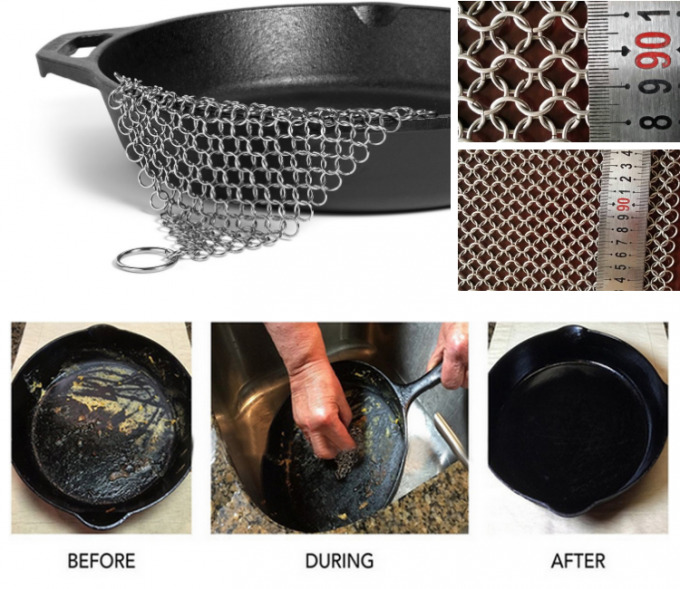 to clean and preferred by many chefs that use iron cookware. Measuring 7x7 inches, this scrubber is a decent size. Size: 7x7 inch, 8x8 inch, 8x6 inch etc. Size(Round) 4"x4" 5"x5" 6"x6" 7"x7" 8"x8" 9"x9"
Size(Square) 4"x4" 5"x5" 6"x6" 7"x7" 8"x8" 8"x6" 9"x9"
The stainless steel chain mail scrubbers makes the cast iron cookware cleanup quick and easy. 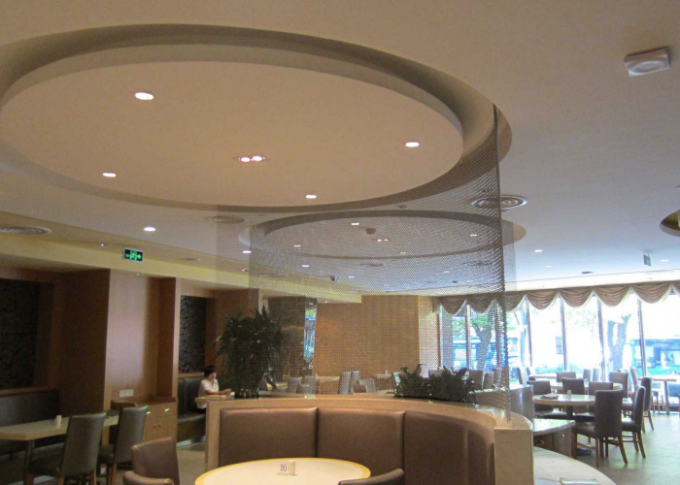 such as space divider, curtains, wall decoration, facade cladding. Among this, space dividers and curtains are more common. 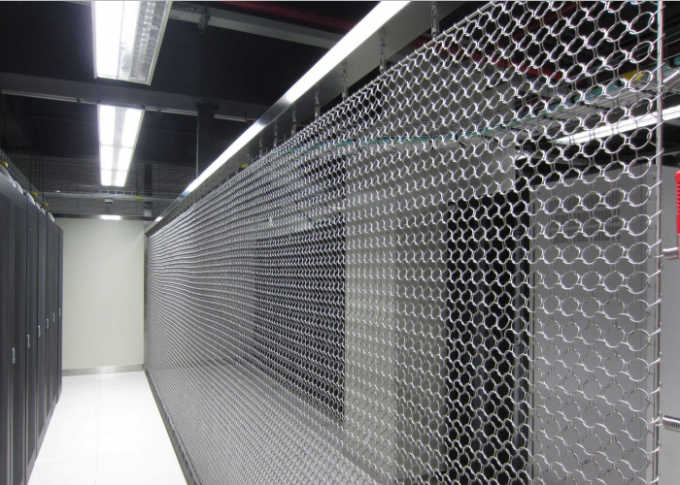 surface can be used in more applications. 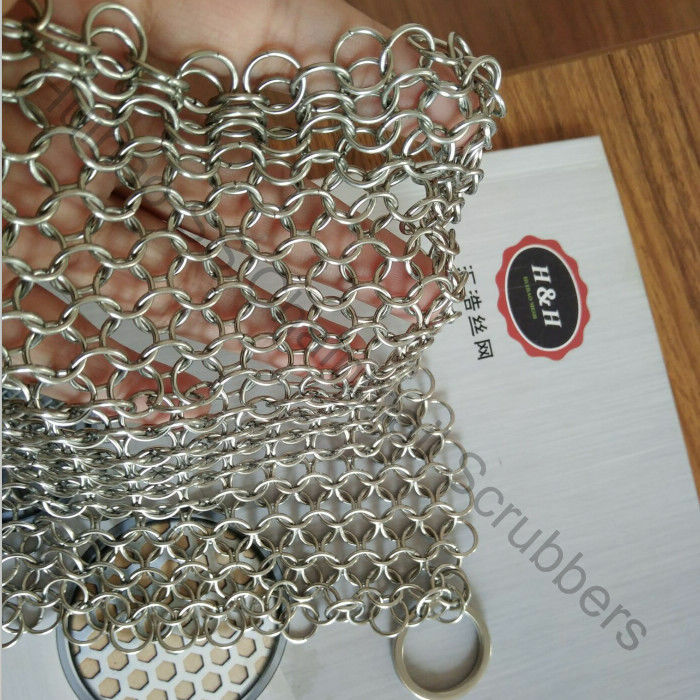 Stainless steel chain mail wire mesh curtains and space dividers are widely used in the hotels, restaurants, cabinets, working rooms etc. material stainless steel wire, copper wire, brass wire and low carbon steel wire. weight 5 kg/m2 - 7 kg/m2 (depending on aperture size, shape and material chosen). Large Order:we recommand you by SEA ,or by AIR if in an emergency.